HD is caused by an overabundance of a certain type of repeating RNA sequences in one gene, huntingtin, present in every cell. The defect that causes the disease is also highly toxic to tumor cells. These repeating sequences—in the form of so-called small interfering RNAs (siRNAs)—attack genes in the cell that are critical for survival. 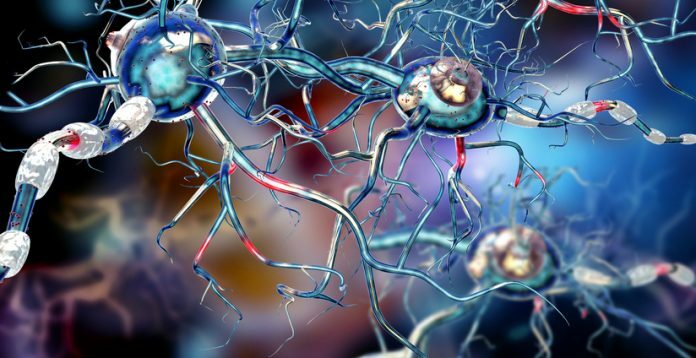 Nerve cells in the brain are vulnerable to this form of cell death. However, cancer cells appear to be much more susceptible. In order to test the “super-assassin” molecule in a treatment scenario, the Northwestern team delivered the molecule in nanoparticles to mice with human ovarian cancer. The treatment significantly reduced the tumor growth with no toxicity to the mice. More importantly, the tumors did not develop resistance to this form of cancer treatment. Additionally, the research team used the siRNA molecule to treat human and mouse ovarian, breast, prostate, liver, brain, lung, skin, and colon cancer cell lines. They found that the molecule killed all cancer cells in both species. Previous work from members of this research team had identified an ancient kill switch present in all cells that destroy cancer—which they thought might underlie the current data. Dr. Murmann and her colleagues started searching for diseases that have a lower rate of cancer and had a suspected contribution of RNA to disease pathology. HD was the most prominent. Moreover, when she looked at the repeating sequences in the huntingtin gene, she saw a similar composition to the earlier kill switch. Both were rich in the C and G nucleotides (molecules that form the building blocks of DNA and RNA). “Toxicity goes together with C and G richness,” Dr. Murmann remarked. “Those similarities triggered our curiosity.” In the case of people who have HD, the huntingtin gene has too many repeating sequences of the triplet sequence CAG. The longer the repeating sequence, the earlier they will develop the disease. The researchers are looking toward the future and testing the their “super-assassin” molecule on a variety of cancers in various clinical trial settings. “We believe a short-term treatment cancer therapy for a few weeks might be possible, where we could treat a patient to kill the cancer cells without causing the neurological issues that Huntington's patients suffer from,” Dr. Peter concluded.